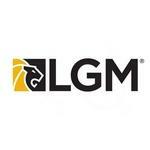 LGM Training offers F&I training and certification in Vancouver among other locations across Canada. LGM Training's exclusive F&I training program provides an innovative, integrated approach to the ongoing training and development for Canadian automotive dealerships. A team of locally based Dealer Development Managers provide F&I consulting to help ensure the success of the dealerships. Products Carried: Since 1998, LGM has been leading the way in the warranty and insurance industries by providing premier warranty and insurrance solutions for prominent automotive brands. Their extensive training program, known as LGM Training, is a leading provider of F&I management solutions that includes F&I training and certification. LGM Training also offers digital F&I resources to enable a business office to quickly and easily quote and sell LGM products.